“The Eagle”, (KEGI 100.5 FM) Classic Rock for Jonesboro, features Bob and Tom in the morning, Leisa Rae middays, and Phil Jamison in the afternoons! Jonesboro’s official “Hog Ship” station and the only FM outlet for Razorback sports! 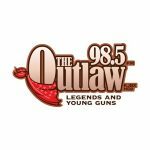 “The Outlaw 98.5”, (KJBX HD2 98.5 FM) Legends and Young Guns, is Jonesboro’s best Classic Country station and is comprised of artists that made country music famous like Willie Nelson, George Strait, Reba McEntire, Johnny Cash, and Hank Williams, Jr.
“ESPN Jonesboro” (KDXY HD3 92.7 FM) is bringing the world’s most well-known sports network to Jonesboro 24/7! 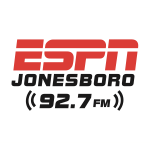 ESPN Jonesboro features popular national sports-talk shows as well as local talent with close-to-home coverage. “Hot 107.5 The Party Station” (KDXY HD2 107.5 FM) This rhythmic, contemporary hits station is one thumpin’, bumpin’ good time with hot, young local jocks and a CHR/Urban playlist never heard before in Jonesboro! 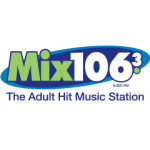 “The Mix” (KJBX 106.3 FM) is still Jonesboro’s ONLY adult contemporary station offering unequaled audience quality. Catch Phil Jamison during middays, and Brett Hall in the afternoons. “The Fox” (KDXY 104.9 FM) has been Jonesboro’s top radio station for 14 straight years! Catch Trey Stafford and Jim Frigo in the morning, Christie Matthews middays, and Rob West in the afternoon.